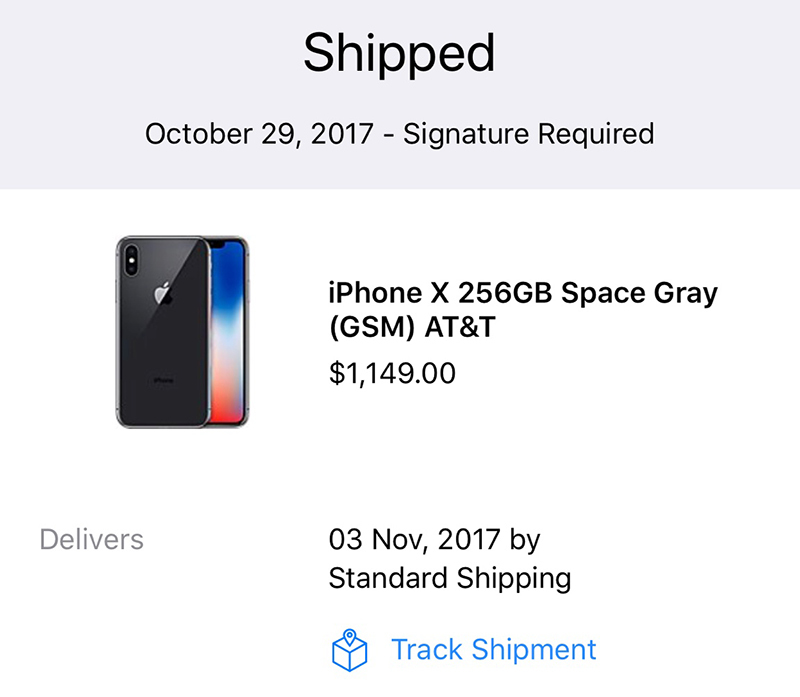 iPhone X pre-orders began shipping to customers earlier this week, and with just hours remaining until the device launches around the world, most orders have now been updated with a "shipped" status on Apple's website. MacRumors readers continue to report improved delivery estimates, with some customers who were previously quoted a November 17-24 window now expected to receive their iPhone X around November 8. Many of these customers, but not all, are enrolled in the iPhone Upgrade Program and ordered a silver model. iPhone X pre-orders destined for the United States are passing through UPS and FedEx hubs in Anchorage, Alaska, as usual, with UPS shipments headed to its Worldport facility in Louisville, Kentucky. From there, the iPhone X orders will begin to make their way to customers around the country. The truest of Apple aficionados can take the UPS tracking number they receive, once their iPhone X has been shipped, and match their device's departure scan with UPS flights on FlightAware. 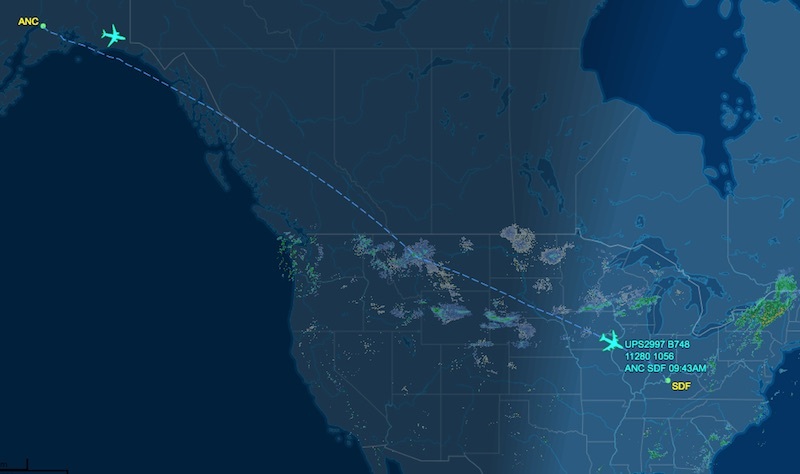 The page hasn't been updated since the iPhone 7 launch, but the flight information appears to remain accurate. The calendar is already turning to Friday in Australia and New Zealand, two countries where the iPhone X will launch first. 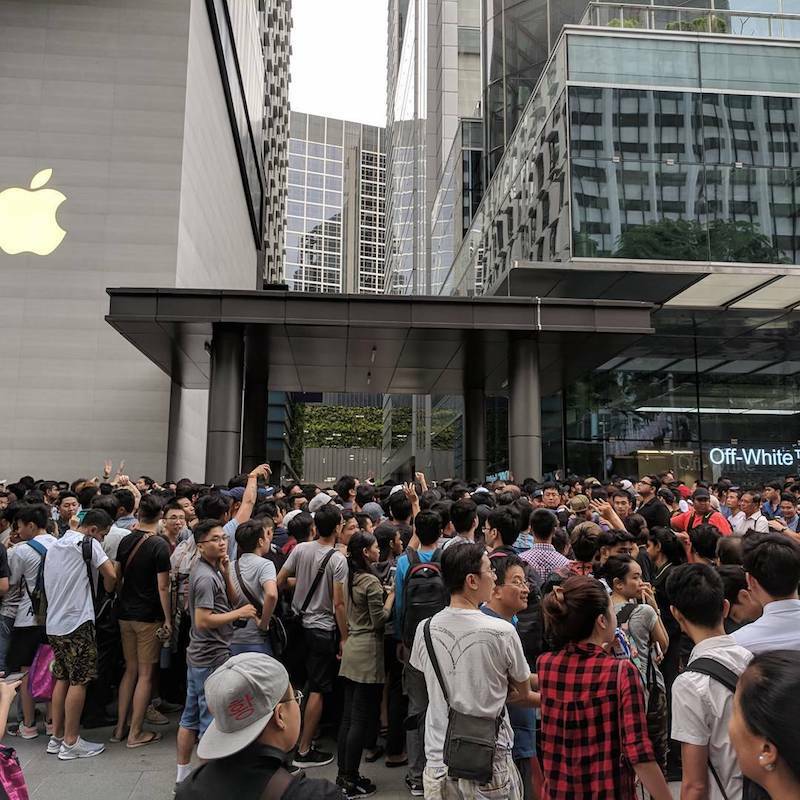 Long lines are forming at Apple Stores across the Asia-Pacific region, including the Orchard Road location in Singapore. Channel NewsAsia shared a video on its Facebook page of Apple trying to get customers to form a single queue at the Orchard Road store. If you didn't pre-order and plan on lining up for a chance to purchase the iPhone X tomorrow, our iPhone Launch Meetups section in the MacRumors discussion forums is a useful resource. The vast majority of Apple Stores will open at 8:00 a.m. local time on Friday, and supplies wil likely be very limited. Mine was scheduled for November 17-24, and this morning I woke up to an email that said it had shipped for delivery on the 8th! Then I checked UPS tracking, and it'll actually be here Monday the 6th. Well done, Apple. I much prefer "under promise, over deliver" instead of "over promise, under deliver". For reference, mine is a 64gb silver AT&T model, ordered on the iPhone Upgrade Plan. I will never understand people that do this camping-out-to-get-a-smartphone thing. The ONLY time I'd do this is for food or shelter, and only if the situation ever become that dire. What do you do for fun? What makes you happy? What are your hobbies? To these people, sitting outside the Apple store to be one of the first to get the new phone is fun for them and makes them happy. Everyone has different joys in life, for them it's being around other Apple enthusiasts and potentially being one of the first to snag up the new device. It shouldn't be that hard to understand. So much for all those who said there wouldn’t be any lines for the iPhone X. Guessing you weren't around in the days where seeing a great band in the front row meant showing up very early. This is actually pretty impressive. The news prior to release was all about how supply would be constrained well into 2018, but it seems like the opposite. It felt like the 7 release had worse supply than the X. Sign of poor sales? Not because poor sales. It has already been reported that it is outselling the 6 which at this time was the fastest. I cannot get a front-row concert experience later, or have it delivered at home, at it be the EXACT same experience. We're talking about a phone here. To each his own, I'm not sure why it bothers people. What effect does it have on you to see people lined up for a phone? It's a cool experience to line up on launch day to get your iPhone. I haven't been able to do it the last few years but wouldn't mind doing it again.